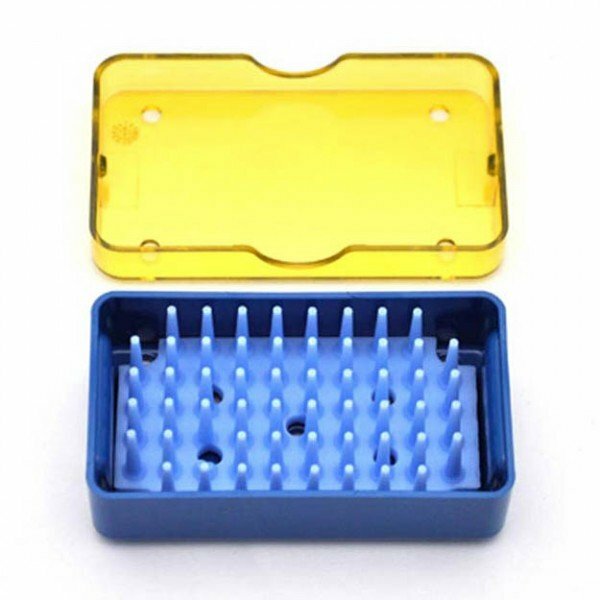 Deep Mini instrument sterilization tray with mat insert. 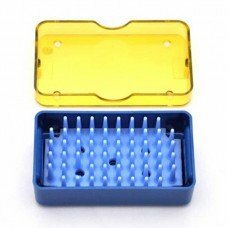 Features dark blue base, light blue silicone mat insert, and yellow transparent lid. 1.5 inches by 2.7 inches x 1.0". 1.5" x 2.7" x 1.0"